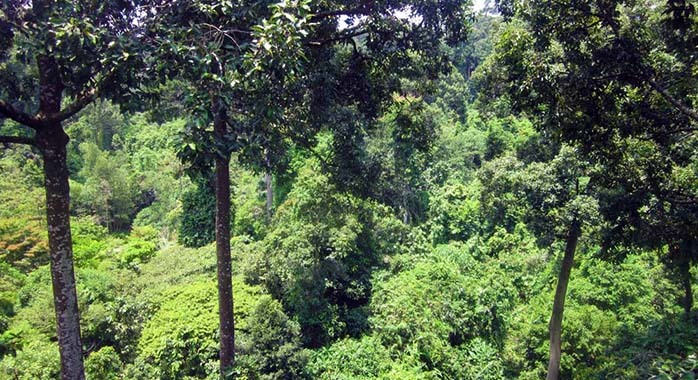 We always wanted to visit Borneo – even more so than Malaysia. So when we found reasonably priced flights from Amsterdam, we didn’t hesitate to snap them up, and started working on our Borneo and Malaysia travel plan. 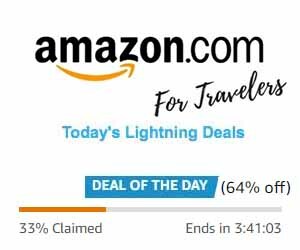 At this point, I need to regress a little in order to share a really useful website that specializes in last-minute flight deals. HolidayPirates is currently one of our top resources when searching for long-haul flights from and back to Europe. Using the information from this website, we were able to book a return flight with KLM Airlines, flying from Amsterdam to Kuala Lumpar, for just €500 (February/March timeframe). Once the flight was booked, the real planning started, beginning with maps. 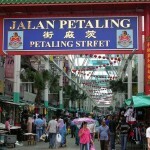 ♦ The Malaysian peninsula: We would be arriving (and leaving from) Kuala Lumpar. 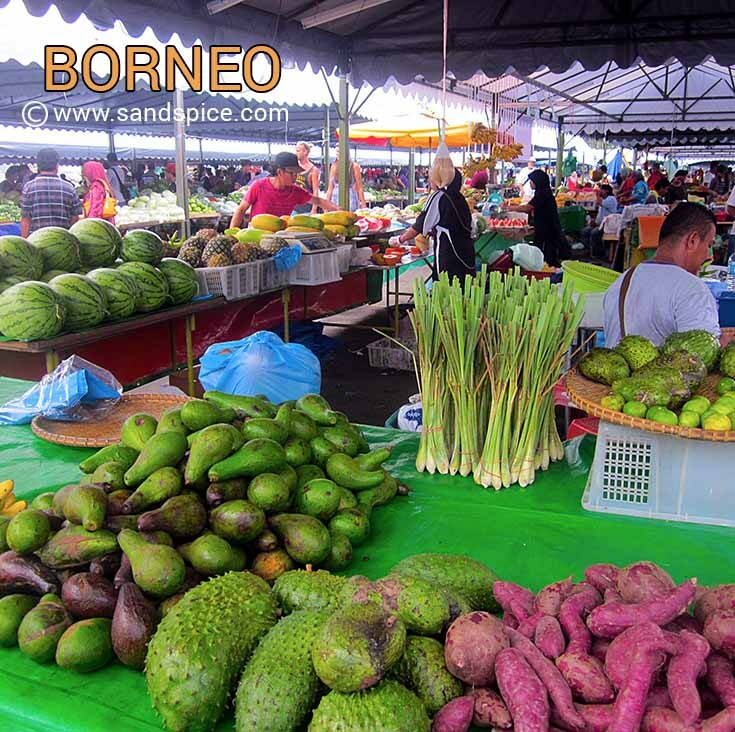 ♦ Borneo: The third-largest island in the world, shared between Malaysia Indonesia and Brunei. 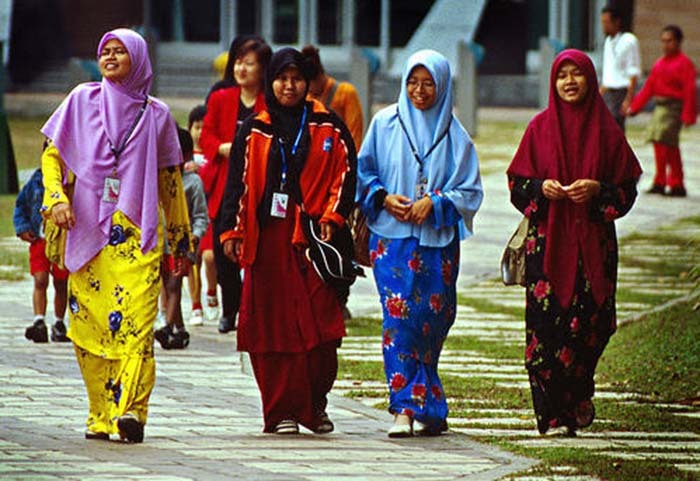 This being our first real trip to Malaysia, we wanted to experience the different aspects of the country without desperately trying to see everything. We also wanted to give ourselves enough time to relax in each place we visited, and not spend all our time travelling. Of course, the number of days we have available is a critical factor. We had exactly 21 days for the whole holiday, including the long-haul flights at the start and end of trip. This translates into 19 nights accommodation we would have to find. As much as possible, we also wanted to get off the beaten track to find some secluded out-of-the-way places where we could enjoy both sea and jungle. Of course, this would mean extra travelling, but we planned to vary our modes of transport to keep it interesting. We would be arriving in Kuala Lumpar, but we would also have to fly from there to get to Borneo (there was insufficient time to take a boat). The broad plan was therefore to spend the first 10 days (half) of our trip in Malaysia, and then return to Kuala Lumpar to take a flight to Borneo, where we would spend the second half of the trip. Since Malaysia has some beautiful islands, we checked to see which locations would be viable from Kuala Lumpar within are available time frame. 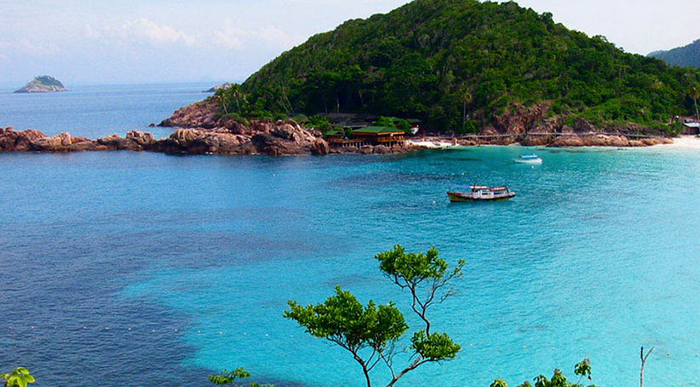 We place we kept reading about was Tioman, located 30 kms off the east coast. It’s quite a journey to get there, but if we could stay there a few nights, it might be worth it. On the way there, we could take a short detour north up the east coast to visit Cherating. Here there are reported to be fabulous wide sea beaches and great accommodation. 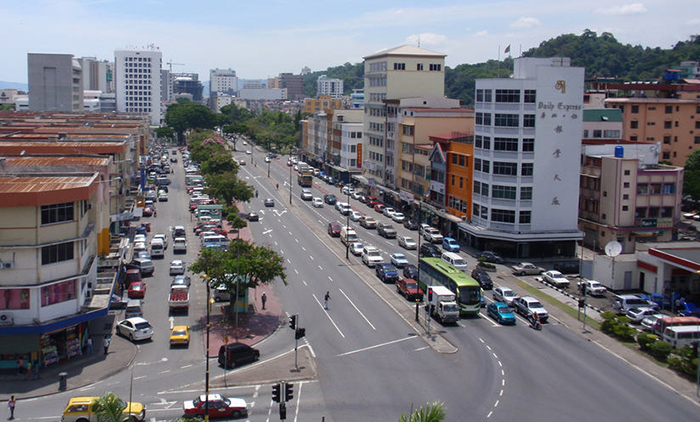 After Tioman, we could then visit the city of Kuantan, before taking a flight over to Borneo via Kuala Lumpar. Borneo is a huge island with a multitude of fascinating destinations. During our 10 days there, we of course wanted to experience the jungle and see the unique and indigenous wildlife. We also heard about the possibility of white-water rafting on some spectacular stretches of river. Finally as this would be our last few days in the tropics, we wanted to find a quite place by the sea, something rustic but comfortable, with good local food and places to explore on foot. ♦ Flights: Both International and Domestic. ♦ Daily cash allowance for everything else. International Flights: We booked 2 return flights from Malta (our home base) to Eindhoven, Holland with Ryanair for €262. We then planned to take a train from Eindhoven to Zaventem, Belgium, where we could pick up our return flight tickets from Amsterdam to Kuala Lumpar (€1,042 for 2 persons), travelling with KLM Royal Dutch Airlines. This price included the high-speed Thalys train from Zaventem to Amsterdam. Domestic Flights: Four weeks before departure, we went to the Malaysian Airlines website and booked our domestic flights around Malaysia and Borneo. This came to 3 one-way flights for 2 people, with a total cost of €344. Pre-booked Accommodation: Also three to four weeks before departure we went to the Agoda website and booked all of our accommodation in the various places we had decided to visit. This came to €858 on the basis of 2 people sharing. In all but one place, this also included breakfast. It also included full board for 4 nights in one location. We spent a lot of time researching accommodation possibilities. From experience, this really can make or break a trip. Daily Cash Allowance: Typically in a trip around S. E. Asia, we would be looking to spend around €25 per person per day after all the above expenses were accounted for. On this particular trip, we would have 19 nights in Malaysia, but a total trip duration of 22 days. I therefore calculated our cash requirement as 22 days x €25 per person, for a combined requirement of €1,100. The budget for our entire trip comes therefore to a total of €3,606. The only other cost not accounted for is our holiday insurance (€116). Adding this in makes a grand total of €3,722. So how did we do? Check out below: Travelling Our Plan: How it Played Out. Although Kuala Lumpar was our entry point to Malaysia, it would also be our exit point. We therefore decided to postpone our exploration of the city until the end of the trip. Arriving from a wintry Europe, we would be too keen to get some sun and sea before settling down to more cultural activities. Our plan was therefore to spend our first night in a hotel in downtime Kuala Lumpar, and then head out early the next morning by coach. 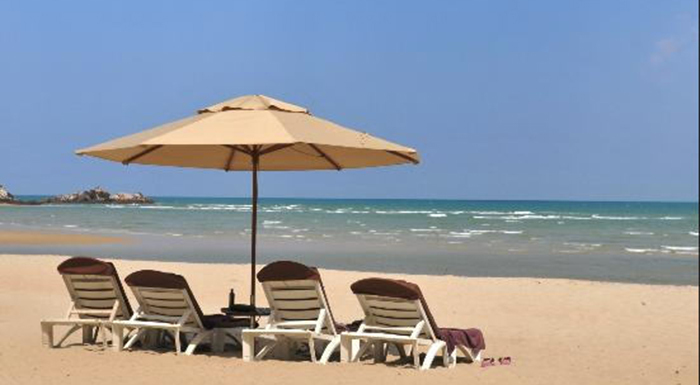 Our destination would be a highly-recommended beach resort on the opposite coast, close to Cherating. We would spend a couple of days here to acclimatize, before heading south down the same coastline in search of some island fun. From Cherating, we planned to travel south down the coast for a few hours, and then take a ferry across to the island of Tioman. To do this we would need to take a coach, either from Cherating or more probably from Kuantan. Our destination was a small town called Mersing, from where we can catch a ferry over to the island. 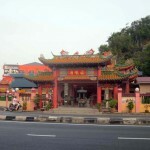 As we would be arriving in Mersing sometime late afternoon, with no clear information about the ferry timetable, we would have to book a hotel in Mersing for one night. From our research online, this stopover would not be the highlight of our trip, but without a confirmed ferry booking we were left with little choice. 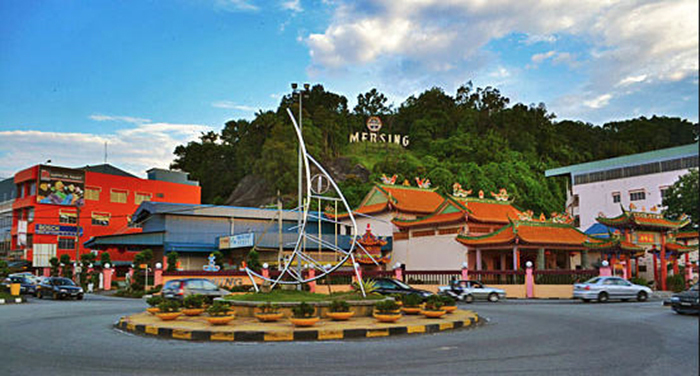 Mersing is known largely as a transit stop for tourists travelling to and from Tioman and the other smaller islands. As we’re stopping over for the night, we will try and find out what else this small town has to offer. The following day, we should also have some time in the morning for sightseeing before making a fairly leisurely crossing over to Tioman. As with the other destinations on this trip, we have already booked our accommodation in Mersing and in Tioman. 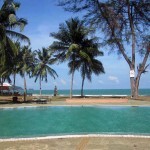 We even contacted by email the owner of our accommodation – 1511 Coconut Grove, Juara – in Tioman to ask for directions. When we arrive at Tekek jetty on the island, we just need to take a taxi and pay RM35 for the drive across the island to Juara. We took a lot of care choosing our accommodation in Tioman since we are booking ourselves in for three nights. From everything we’ve read, we can’t go wrong choosing this place, and we’re really looking forward to it. For 3 days, we will have a bungalow on the beach, with immediate access to the jungle behind. This is exactly the type of experience we’re looking for early in our trip. After this, we will head back to the jetty and catch the ferry back to Mersing. This time, however, we’re not planning to spend more time in Mersing: Instead, we’re hoping to catch a bus back up the Malaysian east coast as far as Kuantan. We booked a hotel for the night in Kuantan. Unfortunately, we won’t have time to discover Kuantan city as we have an early flight out the following morning… to Borneo, and the second part of our trip. We couldn’t fly from directly from Kuantan to Kota Kinabalu. All Malaysian Airlines flights go via the hub in Kuala Lumpar. I therefore booked a flight from Kuantan to Kota Kinabalu with a transit through Kuala Lumpar (effectively, 2 flights). At least I could make these bookings painlessly online via Malaysian Airlines efficient website. I booked these flight 3 weeks before the travel dates. The sooner you can book, the cheaper it is. This one way flight cost me RM321 per person (around 80 Euros). We found and booked the Oceania hotel in Kota Kinabalu, and I emailed them to arrange a pickup from the airport (RM35). 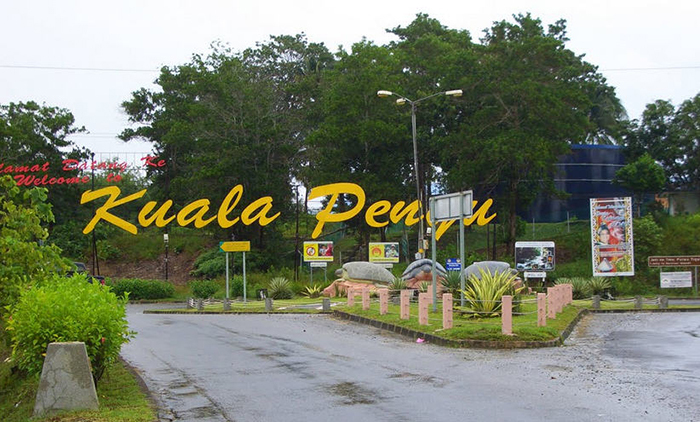 Hopefully, we would have a little time to look around the city before taking a coach the following day to Kuala Penyu. Our first primary destination in Borneo was the Borneo Tempurung Seaside Lodge, located not too far from Kuala Penyu. We chose this place because it is on the sea with a jungle backdrop. 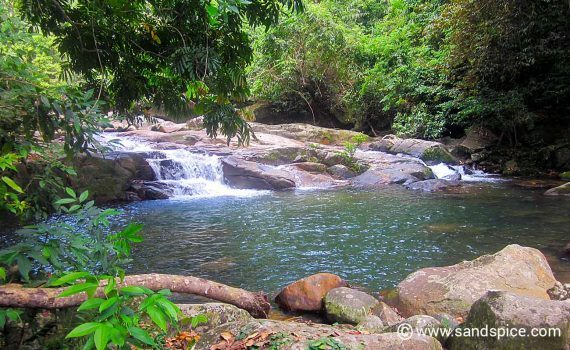 It is also within easy distance of the Padas river at Beaufort, where we are hoping to arrange a rafting expedition. 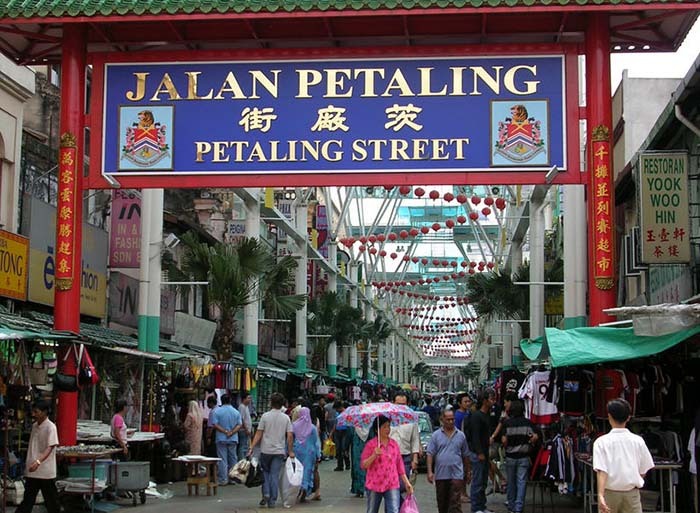 This will be the 2nd of our principal stays in Malaysia, so we’re allocating 4 nights there. Our last destination in Borneo has to be in the area around Sandakan, renowned for the rainforest experience and orangutans. 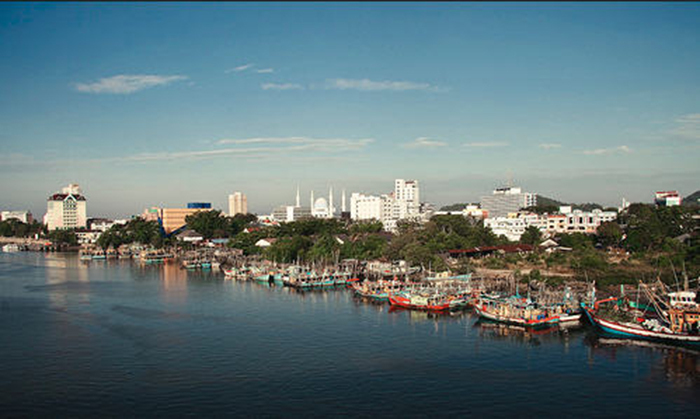 We booked another Malaysia Airlines flight from Kota Kinabalu to Sandakan (RM99). From there, we arranged a hotel pickup (RM40) to take us to the Sepilok Jungle Resort. This actually wasn’t our first choice: Even booking four weeks in advance, we weren’t able to book the Borneo Nature Lodge. The reports about the Jungle Resort weren’t stellar, but there was little other choice if we wanted to stay close to the Orangutan Center. We therefore decided to book just 2 nights here, and extend our stay later in Kuala Lumpar by 1 extra night. In retrospect, this was the right decision (see later). The final leg of our journey through Malaysia was a return to Kuala Lumpar, and 2 days to discover the capital city. We booked flights back from Sandakan to KK via Kota Kinabalu (RM210 ). There were no direct flights back with Malaysian Airlines. In Kuala Lumpar we took especial care to find a good hotel, centrally located, with an outdoor pool. The pool was important to us since we were in a big city, but wanted to end our holiday with a splash! We chose the Vivatel Kuala Lumpar (EUR55 /USD76 per night for a double room). This was at the upper end of our daily budget, but we were hoping it wouldn’t exceed for overall budget for the trip. All that remained after Kuala Lumpar was the long haul back home, so that concluded our overall plan. With a detailed route and budget sorted, we then started fine-tuning the plan. When travelling independently, it can help a lot if you can visually identify landmarks or areas in advance (using photos or Google Earth). Downloading city maps, checking bus routes/terminals, and finding recommended eateries is also helpful if you are inclined to really taking control of your trip. Understandably, this level of micro-management is not suited to everybody, and it’s always fun to leave sections of the trip open to chance. It all depends how much you enjoy the planning process. With three weeks still to go before departure, we had plenty of time to pack as minimalistically as possible, including the usual essentials when travelling around South-East Asia. Follow how the trip actually went, including some really excellent recommendations as well as some absolute avoidables.